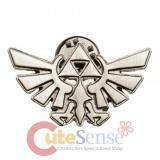 The Legend of Zelda Link Key Chain Metal Key Holder..
Nintendo Zelda Logo Lapel Pin Pewter Metal Great for Clothing, Bag , Hat etc. 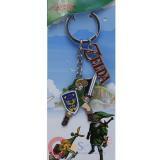 Royal family.. 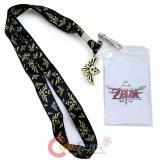 The Legent of Zleda Skyward Shield Crest Lanyard ID Pocket with Charm Easy Metal hook with 1.75"..
Nintendo The Legend of Zelda Triforce Lanyard , ID Holder with Charm Easy Metal hook with Blue r..
Nintendo The Legend of Zelda Triforce Lanyard , ID Holder with Charm Easy Metal hook with emblem.. 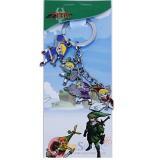 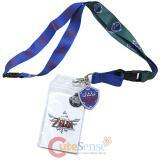 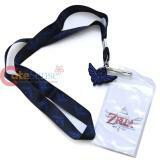 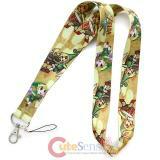 The Legend of Zelda Minish Cap Lanyard Key Chain Various cute zelda images prints all over ..